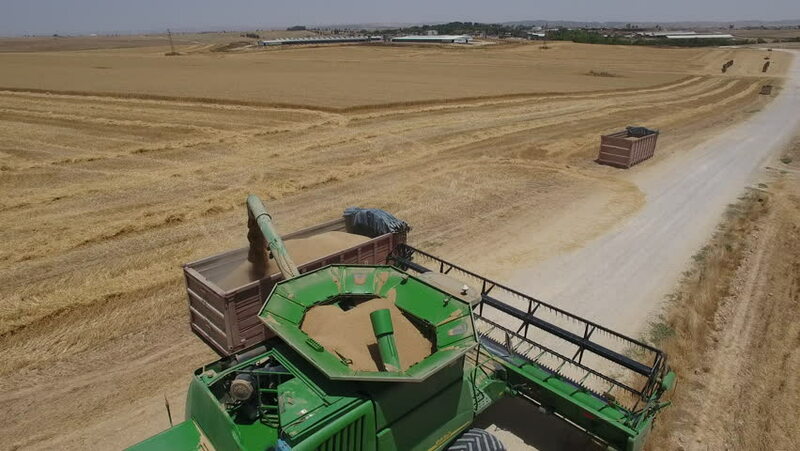 hd00:14Aerial drone shot of a modern combine harvester working day in a big wheat field. Harvesting. 4k00:43Alzey, GERMANY - JULY 21 2018: Drohne shot of a combine harvester harvesting wheat. 4k00:17An arty profile of a moving combine harvester. It gathers and threshes wheat on a sunny day in summer. It has a trailer with people.